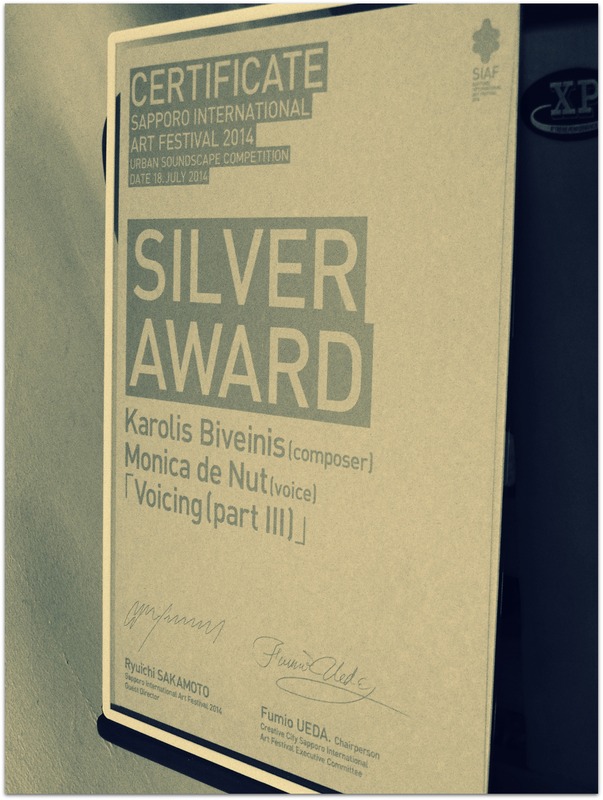 Composer Karolis Biveinis and singer Mónica de Nut have just received a Silver Award at the prestigious Sapporo International Art Festival 2014 held in Sapporo, Japan. 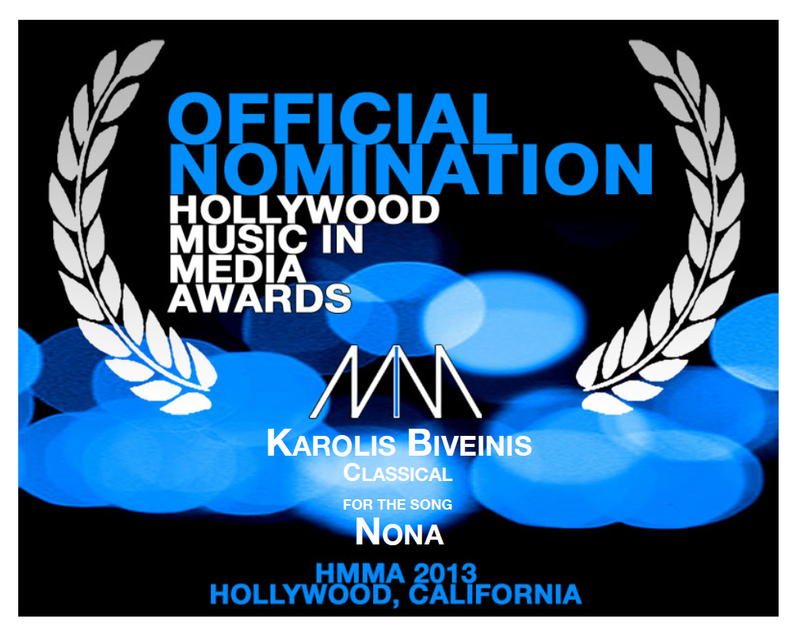 The awarded composition “Voicing (Part III)”, was composed by Karolis in 2008 and recorded at the same time by Mónica. The Guest Director of SIAF 2014, outstanding Japanese composer Ryuichi Sakamoto commented that: “I think this piece packs the largest impact, and the concept is that of modern art making it an excellent selection in terms of its appropriateness to SIAF.”. The “Voicing (Part III)” composition stands among the three top selections and according to Sakamoto: “The top three works were difficult to rank over each other.”. The Creative City Sapporo International Art Festival Executive Committee issued a worldwide invitation for submissions of sound files representing the SIAF 2014 theme that are suitable for reproduction in urban public spaces. The 578 works have been submitted from around the world. SIAF 2014 Guest Director Ryuichi Sakamoto has reviewed all submissions impartially and thoroughly and chosen one Grand Prix, one Golden Award and four Silver Awards. The Grand Prix work (sound logo) is played at SIAF 2014 sites in the city during the festival. And the top 6 works (Long Version) are played at the entrance of the Former Sapporo Court of Appeals (a.k.a. Shiryokan). It was an extremely pleasant surprise to receive more than 500 entries from both within Japan and overseas. What I focused on in judging were simplicity, impact that lingered in the ears as a “logo”, beauty of the sound, how it screams “Sapporo” and “SIAF” and uniqueness. It might have been rather hard to clear all these points, however, works which placed at the top excelled in these areas, especially the top three works, Grand Prix [Song of the planet], Golden Award [Seed of an urban tree] and Silver Award [Voicing (part III)], which were difficult to rank over each other. I am very grateful that so many people participated in this competition. During the period of SIAF, these “sound logos” will be played throughout the city, and longer versions of the top six works will also be played in the Former Sapporo Court of Appeals, so I hope the citizens of Sapporo will stop by and have a listen. This entry was posted in Uncategorized and tagged Art, Festival, Japan, Karolis Biveinis, Mónica de Nut, Music, Ryuichi Sakamoto, Sapporo, Siaf, Voicing on July 27, 2014 by Karolis B..